Bridal Hair Care | Shadi Welcome Pvt. Ltd. In the hustle of wedding, the thing most prone to be neglected is your hairs. It’s often witnessed that girls do all the efforts for skin care before wedding day comes along, but they probably forget to pay any heed to their hairs, as they’re copiously busy in dealing with so much other stuff going on around. Wedding with dry and dull hairs? No chance! Keep it in mind that your hairs are equally important like all other things. Taking care of them at the start can help you avoid many disastrous consequences on your wedding day. Start your hairs up keeping task at least before 2 to 3 months of your wedding, if you never noticed how your hairs look like. Most of the girls don’t care about their appearance and texture of hairs until it comes to their Shadi talks take a start. No matter how pretty you are and how beautiful hairs you have innate, still beauty needs care and maintenance. So as soon as you face the reality, you’re securing your future swiftly. Here are few tips by SW after a detailed researched on respective issue faced by every other girl these days. Rather using shampoos every day, give it a gap of almost 2 – 3 days depending on your needs. Shampoo also contains harmful chemicals that damage your hairs if use in excess, same goes for conditioners. All these natural Ingredients will let your hairs rise and shine. Without providing harmful chemicals to your hairs, you can make them grow longer, healthier and shinier. Take a hot-oil massage once in a month to deep nourish your hairs. This will work as conditioner too. Using electronics can harm your hairs more than anything else. Keeping up with latest trends, girls need to blow dry or straight their hairs using iron, straighteners, dryers and curler rods etc. 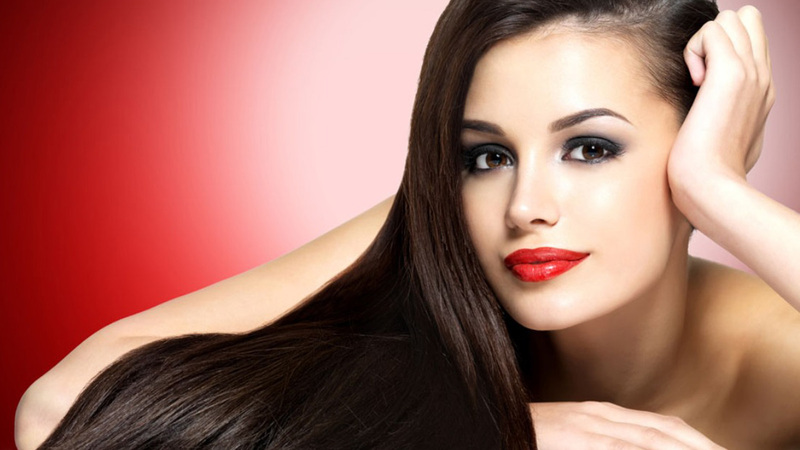 All these products not only make our hairs thin but also cause immense hair fall. Due to which, hairs loose their strength and life earlier than actual time. Stop using these electronics for 3 months. It’s more important to look important on your wedding day and honeymoon period with healthier hairs than usual days before marriage. What you eat is what you look like. If you will eat healthy, you will look healthy. To cut short, stop eating junk food and start consuming pulses, cereals and vegetables more, in fact as much as you can. This will boost your digestive system as well and let your face & hairs smile. Take a bunch of your favorite fruits, a little yogurt and blend them together, making healthiest smoothie ever. Believe it or not, you don’t really need to add ice in it if the taste doesn’t bother you this much. But adding ice in it won’t harm either. In all the cases, avoid adding added favors, salts or sugars in it to keep it healthy and natural. Drink plenty of water, at least 11 glasses a day to keep your body well-hydrated. Increase liquid intake in your diet and you will soon start viewing the surprising upshots. Using a wide toothed comb for the respective purpose will not only help them get untangled easily, but also reduce the hair fall. Avoid using brush for the very purpose, as the tight and tied brush breaks the hairs easily. Also do not comb your wet hairs as it leads to more breakage and weaken the hairs from roots. Wet hairs being crumbly and delicate, are more inclined to splintering than dry hairs. Do not share your comb, brush or any other hair accessories with anyone else to avoid infections and dandruff. Yes! Sharing your comb with a person with dandruff hairs will quickly transfer it to you. It is the easiest way for dandruff and infections to get into another’s hair. Even you should not share your pillow with anyone else; this might also cause the dandruff or itching on your hairs or skin. Contact your doctor in case you have any scalp allergy or hair problem without experimenting with your hairs. You can’t afford to any experiment go wrong at time of your wedding, can you? Certainly no. Not at all. So in case of serious issue, avoid home remedies and self-medication as well. Hoping, if not all of them, a few maybe adopted, will lead you to better, healthier and shinier hairs. You should also remember here that these are just tips but no hard and fast rules to be followed. You can use any of them according to the nature of your hairs, your needs and wants.